Easter this year is from Friday 19 - Monday 22 April 2019. Good Friday (the 14th) is a bank holiday but not a public holiday in the Republic of Ireland: All banks and many public services (eg post-office) are closed, but most public-transport run normal Friday services. Information from bus and train companies is summarised below. Always confirm details with the company. Bookings are recommended, because there are a number of events happening this weekend. 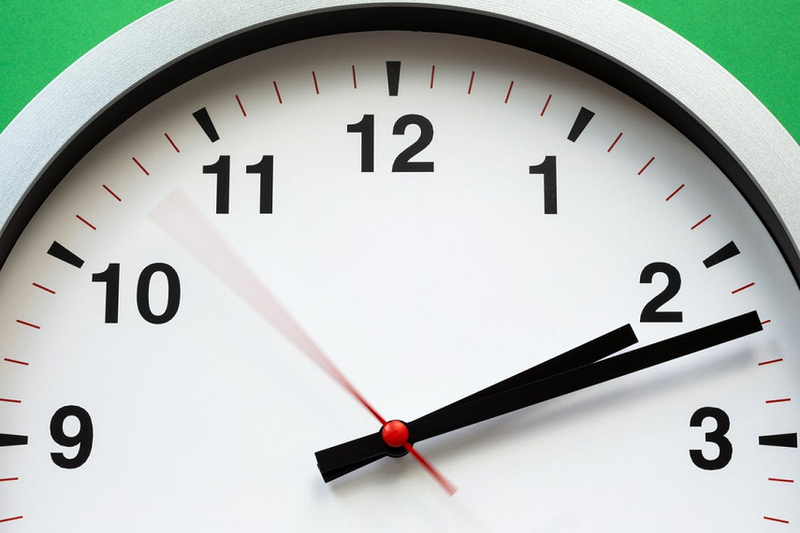 Irish Summer Time (Daylight Saving Time) officially starts at 2am on Sunday 31 March 2019, when the clocks spring forward to 3am. Bus companies that run overnight services have advised customers to adjust their watches at midnight on Saturday night: services that leave after midnight will run at "summer time" times. 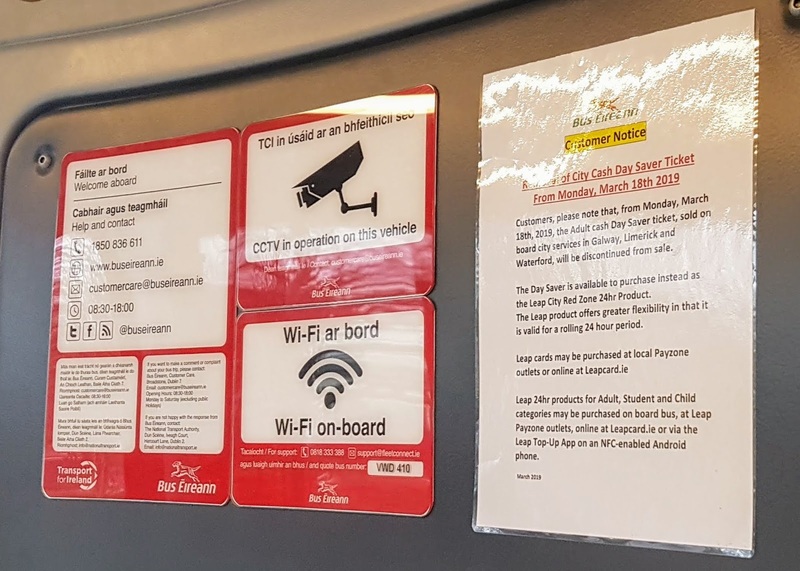 Bus Éireann have announced that from Monday 18 March 2019, multi-journey tickets for city will not be available as cash-purchases. Sunday 17th March 2019, St Patrick's Day / Lá Féile Pádraic is a public holiday in Ireland. Most public transport services will run a Sunday timetable. Most towns and cities will have a parade around lunchtime or in the early afternoon: morning public transport services are likely to be busy due to this. Monday 19th March 2018 is a Bank Holiday, but not Public Holiday. Banks will be closed, Some businesses, especially ones that don't usually open on Sunday, will close to give their staff a day's holiday. Because of this, most public transport companies will run a Sunday timetable. Citylink have announced they will be running two new morning express buses between Ballinasloe and Galway, from February 25th 2019. Buses will be at 7am and 8am: this is a one-way service, there are no express return buses. Regular return tickets, including CityLink's three-month TaxSaver tickets, cam be used on both express and multi-stop buses. 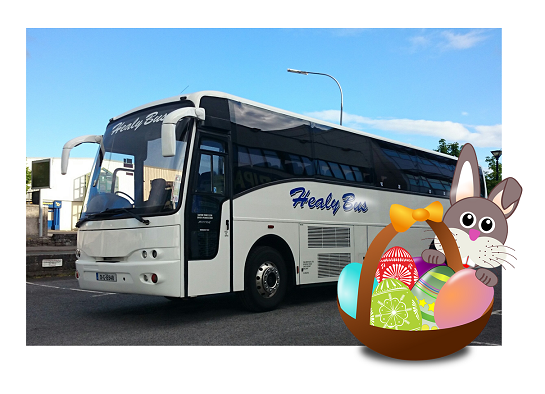 These buses will pick up from the three Ballinasloe bus stops (Creagh, Main St / Keller Travel and Portiuncula Hospital). 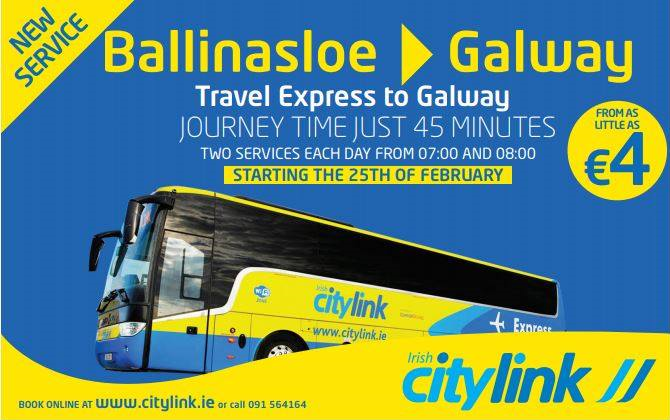 Journey tine to Galway city is 45 minutes. See Galway eastern regional bus services for more information buses about this area. 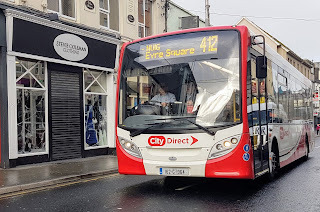 City Direct have announced that from Monday 11 February 2019, their drivers will no longer sell weekly or monthly bus tickets. From this date, these tickets can only be purchased from Leap card outlets (map of them here), loaded onto Leap cards. If you do not already have a Leap card, you will need to purchase one (cost is a €5 deposit) before you can buy a City Direct weekly or monthly bus ticket. This applies to the adult, student and child versions of these tickets. 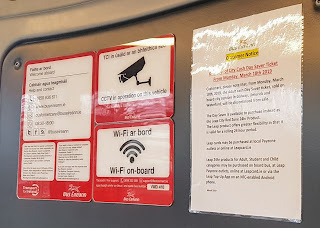 There is no announced change to City Direct's monthly TaxSaver ticket.